What Sets Cellgevity Apart From Other Glutathione Products? Cellgevity is powered by RiboCeine. A powerful, patented ingredient, that’s exclusive to Max International. Riboceine is the key to why Cellgevity is so effective at raising glutathione levels. One of the tricky things about getting the body to produce more glutathione, is the need to protect the Cysteine molecule from being destroyed by your stomach acid. 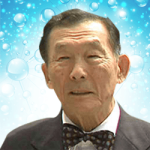 Dr Nagasawa’s breakthrough formula solves this problem. The thing about raising glutathione levels intracellularly, is it requires transporting a very fragile molecule called cysteine past the brutal stomach acid, for it to be effective. If you’ve been buying glutathione supplements that don’t protect cysteine, you’ve basically been throwing your money down the drain. When most people realize glutathione pills don’t work, it’s understandable they feel completely ripped off and angry. As unfortunately so far, there’s no law against marketing products that don’t work. So when Cellgevity was released to the masses, the first question people asked, was if it could in fact protect the cysteine molecule and deliver it unharmed to the cells? And the answer is yes — thanks to Riboceine! Protecting the cysteine molecule is the difference between your body being able to make more glutathione, or not. When you read through the published peer reviewed articles behind the Riboceine ingredient in Cellgevity, you’ll find there is no other product on the market that compares to its ability to support intracellular glutathione. Glutathione plays a fundamental role in the body’s ability to recover quickly after high levels of athletic output. It is also needed in order to be able to endure high levels of activity for extended periods of time. So if you’re an athlete serious about high level performance, you simple can’t afford to ignore your bodies glutathione levels. One of the key elements to sports performance is maintaining high levels of ATP (Adenosine triphosphate). Whether you are a power athlete e.g. weight lifter, sprinter or an endurance athlete e.g. triathlete, distance runner, ATP is required for high levels of energy out put. Glutathione is the premium fuel needed to produce abundant amounts of ATP on demand. 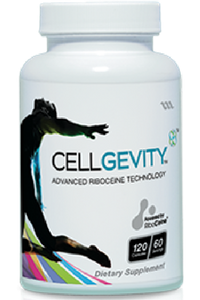 The riboceine molecule in Cellgevity contains release on demand technology. This means that the harder you work your body, the more it will respond and allow you to create glutathione. Pro athletes have complete piece of mind as the ingredients in Cellgevity meet the criteria for BSCG. The BSCG certification is recognized by the International Olympic committee and WADA (The World Anti Doping Association). This is why we have professional, high profile & Olympic athletes using Cellgevity. How Do We Know The Research Behind Riboceine Is Legitimate? 32 years Senior Editor, Journal of Medicinal Chemistry. 165 peer-reviewed and published articles. If you’re still reading, unlike the average person out there, it’s clear that you aren’t seduced by hype. With so many so called exotic potions and powders coming on to the market, it’s more important than ever to do your own research. Many commonly available products contain toxic ingredients, yet are deemed safe to use because they supposedly contains only a “small” amount of toxins. Yet toxins are accumulative. A perfect example is the personal care industry, where it’s completely legal to put lead into lipstick. While most scientists at the top of their game would be elated to have just ONE of their research articles published in the prestigious Journal of Medicinal Chemistry, Dr Nagasawa has over 165! Out of those 165 published studies, 20 of them are based on the Riboceine technology. “Dr. Nagasawa’s breakthrough science has been recognized and honored by the National Institutes of Health, NASA and countless other scientific institutions and journals. The nutrients he and Max have developed have been truly transformational in the lives of so many who have used them. If Cellgevity had have landed in the hands of a pharmaceutical company, it would never have been affordable for average people like us. Those giant corporations simply don’t give a dam about your health! Yet it turns out that in their race to get their hands on this well kept secret, they ran into a huge problem… Simply slapping a patent on pill wasn’t going to cut it this time, as existing scientific studies proved that glutathione pills don’t work! Although multi billion dollar budgets can buy a lot, not everything is for sale. So when the scientist behind Cellgevity finally ‘cracked the code’ on effective glutathione delivery, he chose to turn his back on the pharmaceutical industry for a good reason. He wanted to make sure his life’s work was within reach of the people who needed it most. And at 82 years of age, after more than 2 decades of research, he decided to make his discovery available to the world. Good question — and if you ask any Doctor that went through medical training before the 1980’s, you’ll most likely be greeted with a blank stare. Yet, there are over 100,000 scientific reviews on glutathione that have been published in the US public medical library to date. No offence to your practitioner, but they simply don’t have time to keep up with everything. Although it’s interesting to note, how they miraculously seem to whip out little sample boxes of pills (otherwise known as anti depressants) at the drop of hat. Surely those nasty pharmaceutical companies aren’t handing out kick backs to Doctors for marketing their over priced addictive substances? And as for Cellgevity, if your GP hasn’t taken the time to keep up with the latest in glutathione technology, it’s unlikely that he or she is going to know anything about the latest scientific breakthroughs. It’s also a widely known fact that out of the 4+ years spent in medical school, only a few weeks are dedicated to nutrition and naturally available alternatives. Max International offers a 30-day money-back satisfaction guarantee to all Customers. If for any reason you are not completely satisfied with Cellgevity, simply return the unused portion of the product to Max for a full refund (less shipping charges and fees) within 30 days from the date of purchase. Pay the standard retail price without receiving a discount on Cellgevity. Simply place your order without any ongoing commitments. Wholesale (Preferred customers) receive a generous discount on Cellgevity by starting a monthly auto-ship. Your auto-ship can be cancelled at any time. Receive the largest discount by committing to purchasing Cellgevity for 3 months. Your auto-ship can be cancelled any time after the 3 months.